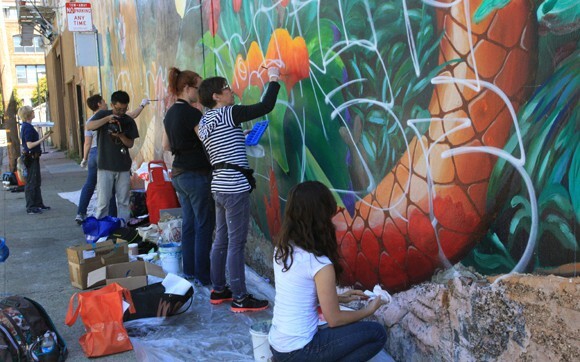 A team of student-artists from the Academy of Art University has stepped forward to repair damage to a much-loved mural in the heart of San Francisco. 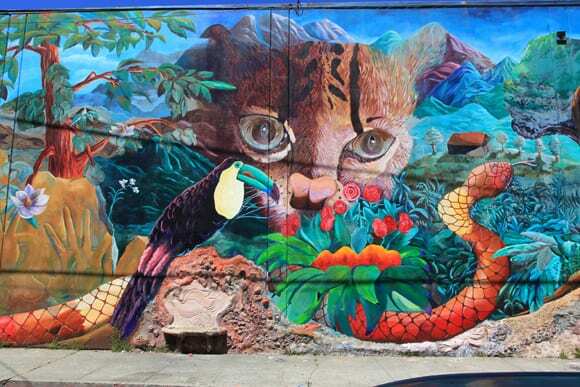 Graffiti defacing “Frisco’s Wild Side,” which depicts wildlife in a decidedly urban setting, spurred neighbors and university staff and students to take action. 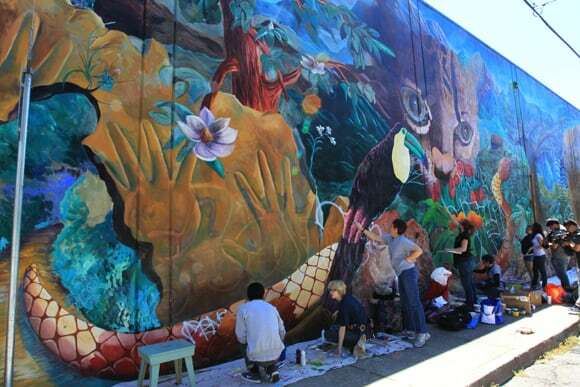 Located on Langton Street (often referred to as Langton Alley) between Harrison and Folsom Streets, the mural is one of several in the area that enliven the neighborhood. Residents Jessica Furui and Bob Toy—the university’s lead photographer—approached Rebecca Delgado Rottman, Vice President of Community and Government Relations for the Academy, for assistance. 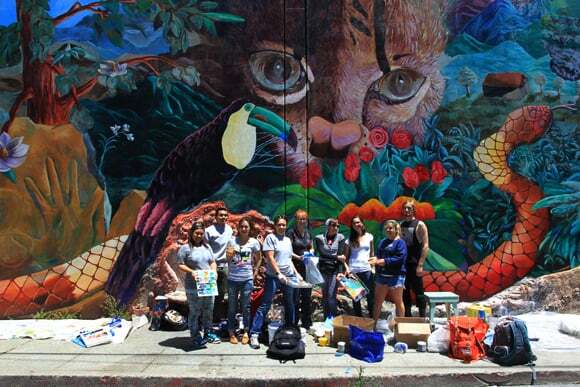 Academy of Art University students restore “Frisco’s Wild Side,” a mural in the heart of San Francisco. 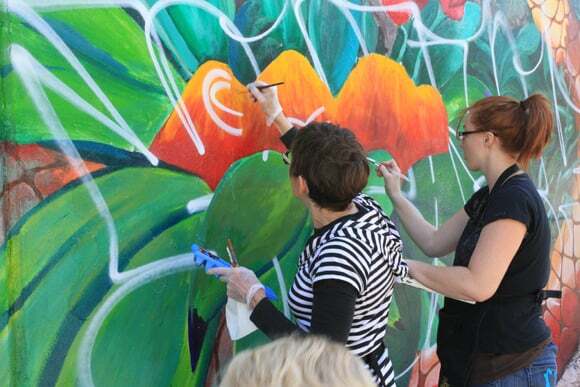 The students acted in response to an urgent request from neighborhood residents when their beloved mural was defaced with graffiti. 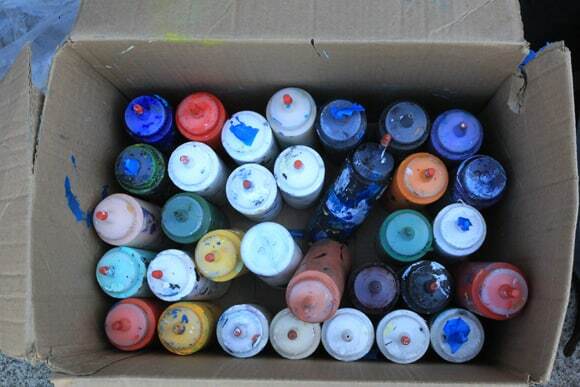 Delgado Rottman, a member the San Francisco Department of Public Works’ Graffiti Advisory Board, often leads anti-graffiti efforts among Academy students who are only too eager to help neighborhoods under Mayor Ed Lee’s Community Clean Team initiative. She organized a group of Academy students from the Schools of Fine Art, Illustration and Communications & Media Technologies to repair the damaged artwork. The repair day turned into a repair party, with neighborhood residents pitching with food, music and dancing once the students had completed the job. Students participating in the June 22 event were Valeriya Grant, Handy Hsu, Kristoffer Liwanag, Derek Moore, Therese Morgan, Layla Skramstad, Kayla Soler, Katrina Valdez and Melissa Watson.